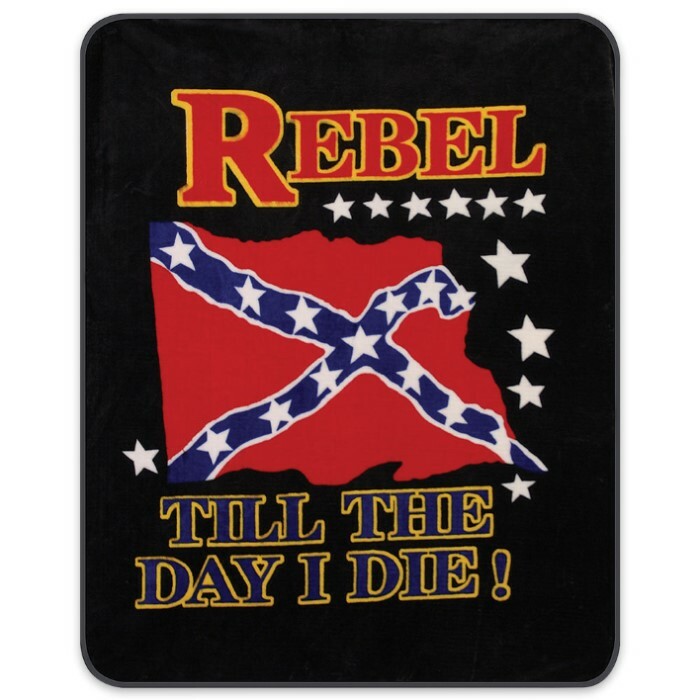 Rebel Flag Till The Day I Die Faux Fur Queen Size Blanket | BUDK.com - Knives & Swords At The Lowest Prices! Let your Southern pride show with this Confederate Rebel Flag "Till The Day I Die!" blanket! 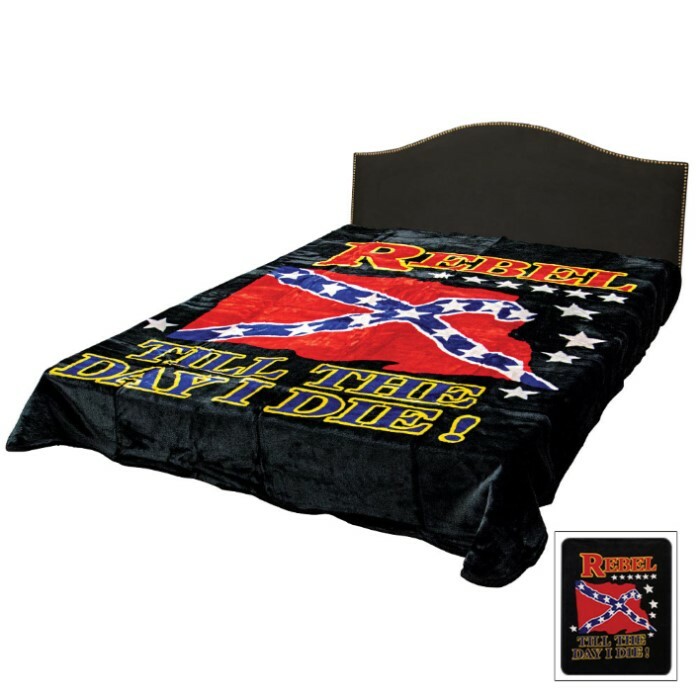 This faux fur medium-weight blanket will keep you snug as a bug and display your proud heritage at the same time. It's great for your couch, recliner or even bedroom, and it would even make an excellent choice for your dog!